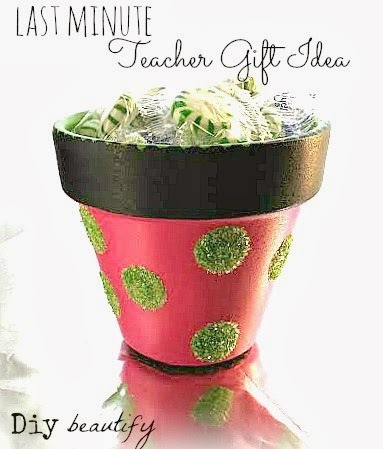 I didn't set out to make this candy pot for Little Diy's teacher. I already had her gift made and ready to go. 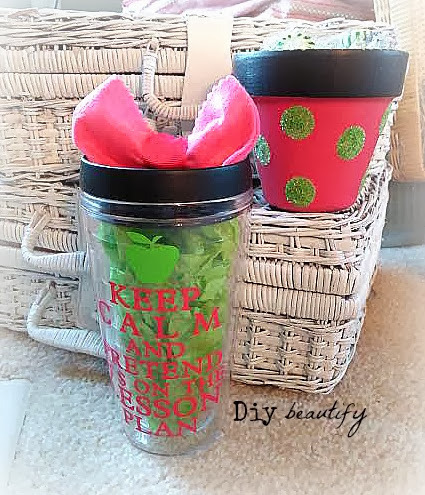 When I found out her favorite colors, I made this cup (inspired by one I saw on Pinterest), designing and cutting out the letters and apple using my Cricut. However...this morning, when I saw the cutest little red flower pot with white glittered polka dots, filled with peppermint candies by Cupcakes and Crinoline, I just had to recreate it. 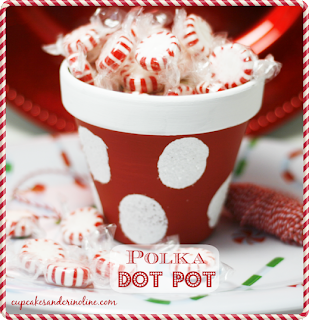 I love love LOVE it in red and white...but decided to make it in Little Diy's teacher's colors...so she could use it all year and so it matched the cup I'd already made. 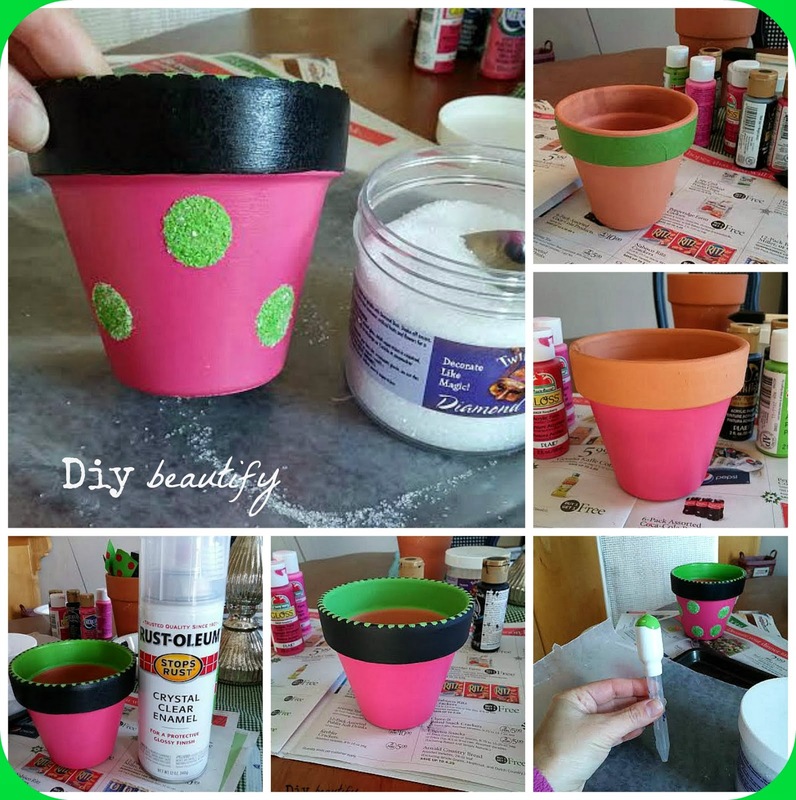 I started by taping off the rim of the flower pot with frog tape. Then I painted the base pink, giving it two good coats. After removing the frog tape, I painted the rim black. Once dry, I decided to paint just inside the rim with lime green (didn't want any of that terracotta showing!). 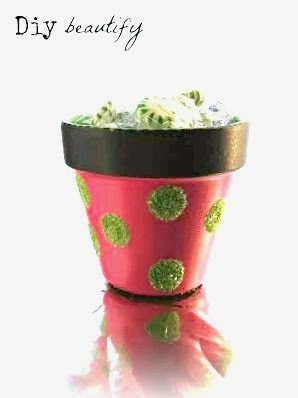 I painted some stripes around the top of the pot because it made an easier transition between the green and the black...and the design makes it look even cuter. Then I took it into my garage, and gave it a coat of glossy enamel sealer. Once everything was dry, it was time to create my polka dots. I wanted nice big ones. Aside from hand-painting them all, I couldn't figure out what I could use to make them all uniform. Hmmm...looking through my kitchen drawers, I found an old bulb syringe used for dispensing liquid medicine. It was squishy enough that I knew it would work perfectly. I dabbed it in my paint, pressed it onto the pot where I wanted a dot, and then repeated. It worked perfectly! Yay!! I had my Diamond Dust glitter nearby and immediately spooned it on to the wet paint, letting the excess fall off onto a waxed paper-lined cookie sheet. Then I let that dry. The final step was to make a felt bottom. These pots come with drainage holes and I wanted to cover that up. First I cut a circle template out of cardboard, glued that onto a piece of black felt and then cut around that and hot glued it to the bottom of the pot. 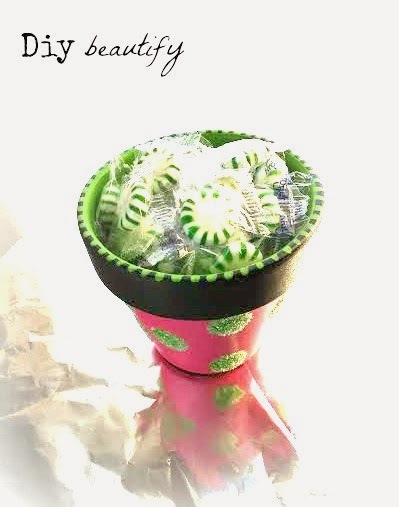 I chose to fill it with green mints because the color matches. I just LOVE how it turned out and hopefully Mrs. White will love it as well!! A perfect match. 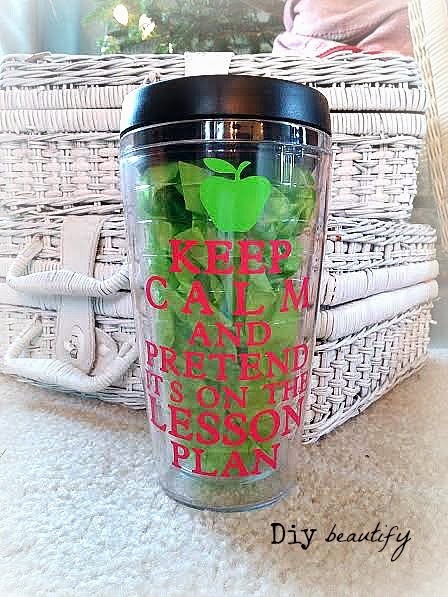 And a gift any teacher would appreciate, don't you think?? Your little pot turned out beautifully, Cindy. Thanks so much for sharing it with me.